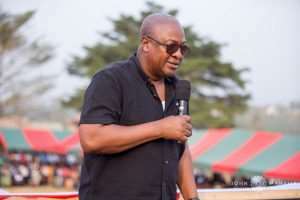 Former President John Mahama is asking NPP government not to sell off the Komenda Sugar factory. Trade and Industry Minister, Alan Kyerematen told Parliament a new strategic investor will be announced by the end of April to acquire the assets of the Komenda Sugar factory . It said the government has side-stepped recommendations of a technical audit of the project only to pursue a motive of selling off the company. He recalled that his administration had only looked for a private-public arrangement to provide the needed technical expertise but its intention was not to sell the factory. Ghana has seen a significant rise in sugar importation since 2001. In 2013, sugar import was the eighth most valuable product and the fourth largest food import after rice, fish, and poultry, as noted by Ghana’s Sugar Policy. According to the policy, Ghana imported 463,000 megatonnes of sugar in 2014 representing a 32.21% decline from 683,000 MT in 2013. There are however projections that the consumption of sugar in Ghana could rise to 872,000 MT by 2030. Similarly, the West Africa sub-region which is also forecast to experience rapid growth in sugar consumption also presents a potential sugar export market for Ghana. With this in mind, Mr. Mahama said the factory is needed to position Ghana on the right end of the import-export chain. “If we produced of that sugar here, then it will reduce the foreign exchange we have to take outside to go and import sugar and so I will urge the government to follow the path that we took,” Mr. Mahama said. The $35 million factory has been dormant due to a lack of funds. It was also noted that the sugar cane variety meant to feed the factory was not up to the required specifications.